Back to school is sneaking up on us - EEK! I made these focus wall headers as a special request for one of my favourite customers, and I love how they turned out! They are chalkboard-themed and look very nice up on the wall. 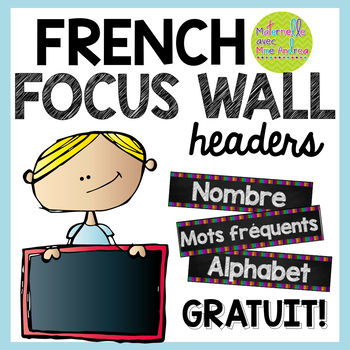 A focus wall is a great way for you to display what you are working on each week. Click here to see them in my store. I will definitely be using this freebie this year! Displaying posters of the art routine is very helpful for keeping your students on track, and will help them develop independence. 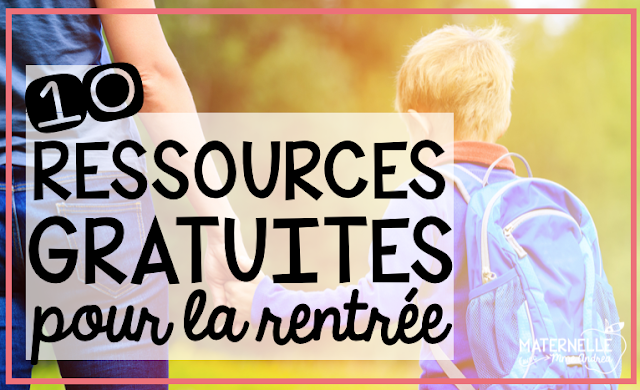 I love this freebie from Mme Émilie! I hang the months on my wall as our birthday chart every year. I get my students to each colour a cupcake and we display them under our birthday months. 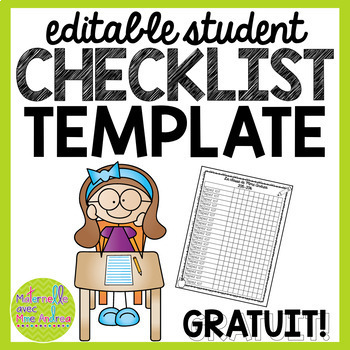 This class list template is EDITABLE, so you can type in your name, the year, and your students' names! You will just need to open it in PowerPoint or Keynote. 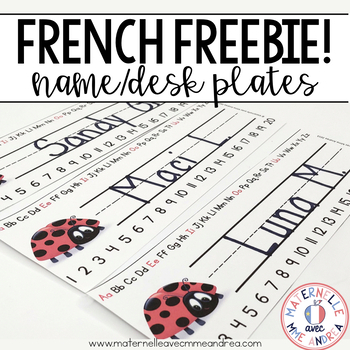 Les coccinelles - If you are limited on space and are looking for a simple design, I made these ladybug-themed desk plates a few years ago. They have a space for your students' names and feature the alphabet and numbers 1-20. They also come in two sizes. 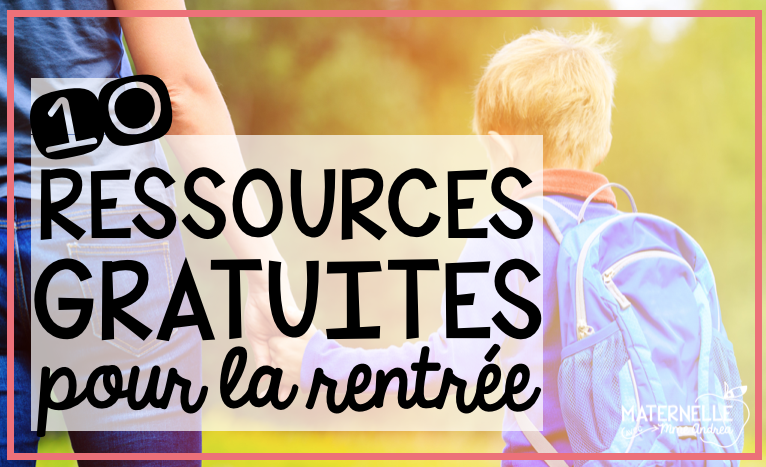 If you have more space available or are looking for more content on your desk plates, check out these ones by For French Immersion! 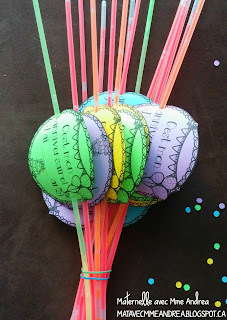 Read all about how to use these glow necklace gift tags in this blog post! I always do crowns on the first day! I put them out on the tables and my students start colouring as they arrive. It helps our day to start nice and smoothly, as everyone knows how to get started right away! These bookmarks would make such a cute first day of school gift! There are book marks for a wide variety of grades. These are a brand new freebie that I just added to my store and to the library. I LOVE using square posters because they save so much space! The free set is mini-sized, so you can use them for all kinds of things. 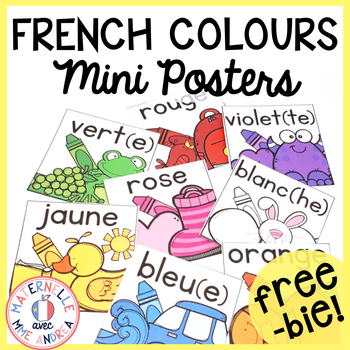 Again, if you need the full-sized set (there are also more spelling/masculin/féminin options in the full set), just click here to see it in my TPT store. 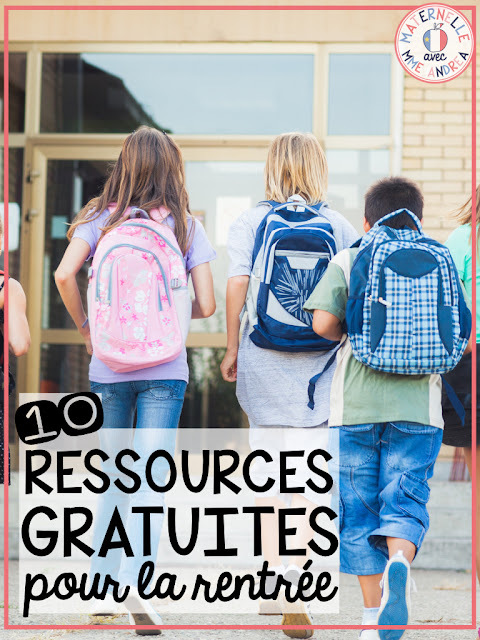 BONUS - Just in case you didn't find everything you need, or if you don't teach maternelle and some of these aren't as relevant to you, you can still download the FREE Back to School French E-Book that 15 different French Teacher-Authors put together just for French teachers in 2016!